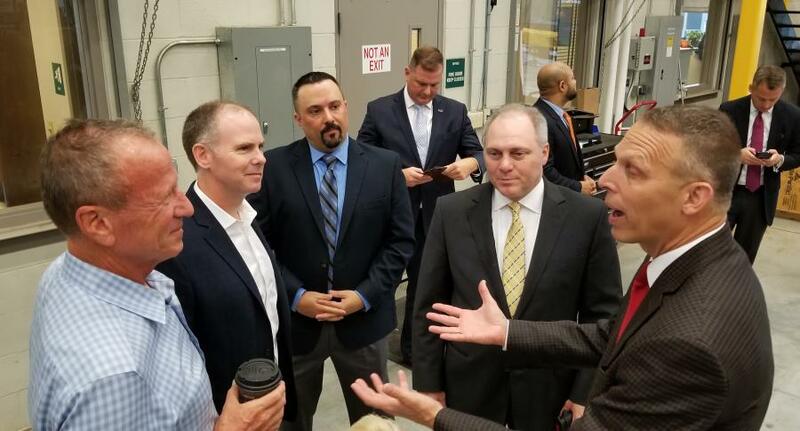 (L-R) are Rep. Scott Perry, SEI CEO Dennis Heller and Rep. Steve Scalise. 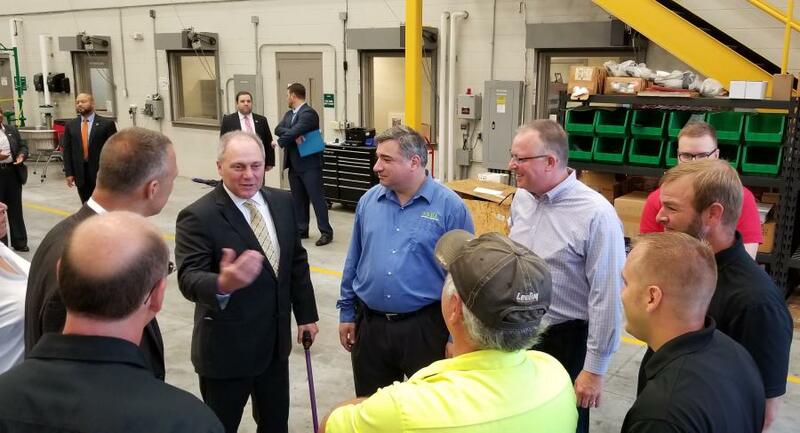 While on the campaign trail, Rep. Scott Perry, the incumbent running for Congress in Pennsylvania's 10th district in which Harrisburg is situated, and U.S. House Majority Whip Steve Scalise (Louisiana) took time out to visit Stephenson Equipment's (SEI) Harrisburg branch. The representatives toured SEI's crane service shop and met with SEI's employees to discuss how the current administration's policies have created a strong economy, record stock market, tax relief and low unemployment. 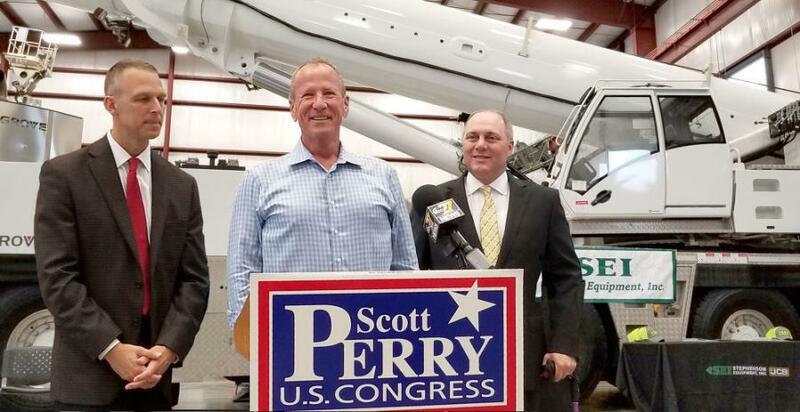 Perry is a part of the Transportation and Infrastructure Committee in Congress and plans on making the country's infrastructure and highways a top priority. He pointed to the increase in spending on our infrastructure and construction projects as a sign of these policies working and benefitting the industry and all U.S. citizens. House Transportation and Infrastructure CommitteePennsylvaniaPolitics NewsStephenson Equipment, Inc.
House Transportation and Infrastructure Committee Pennsylvania Politics News Stephenson Equipment, Inc.